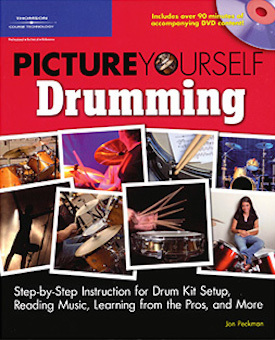 "CMC Studios provided me with stellar assistance on many levels in the production of my nationally released book and DVD package "Picture Yourself Drumming". "Curt provided all the technical review necessary to complete the book, photography, and also produced the DVD - I simply could not have completed this project without him and he has my highest recommendation". CMC Studios is a full service New Haven, CT based video production company that creates high impact professional video including commercials, corporate marketing videos, music videos, video testimonials and educational videos to help individuals and businesses achieve their goals. CMC Studios uses 100% professional cameras, lenses and software to create your video in full HD resolution. All audio is captured with pro microphones for very noticeable high-level quality. Editing and production is done with Final Cut Pro (Hollywood and industry standard software). There is absolutely no more powerful tool to get across your message or brand than video. It's true that "a picture is worth a thousand words" - but also true that "a video is worth a million words"! There's a reason every successful individual and business has great video as the cornerstone of their marketing.